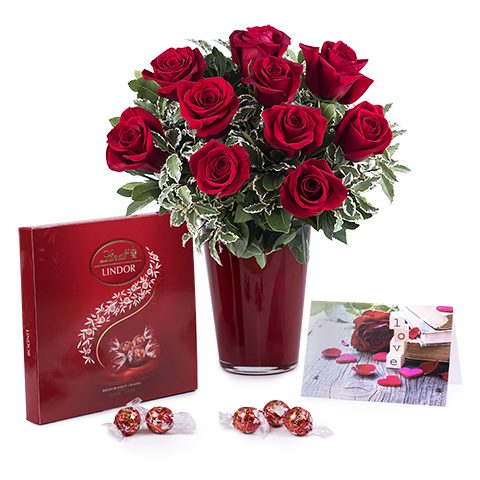 Celebrate February 14 with her by giving her a bouquet of 10 red roses in a vase, paired with a box of chocolates and a sweet greetings card. This Valentine's Day, show a special woman how much you appreciate her love and how she is a source of inspiration and joy in your life. The quality of products and delivery is outstanding. Did not receive chocolate and vase. The flowers were very beautiful and the set up looked lovely.